Before start, let me tell you what we will talk about today and what will we talk about. So today I am gonna tell you about Honor smartphones, Now In this article we will talk about Honor View 20 specifications, price along with all of it’s features. And also in the end of the article, I will tell you about some strong reasons to buy this smartphone for yourself. The Honor View 20 smartphone was launched in January 2019. The company set up Honor View 20 price at 40,000 Rs in India. 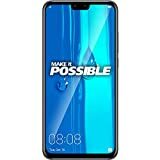 The smartphone (Honor View 20) comes with 6.40 inch touch-screen display with a picture resolution of 1080 x 2310 pixels. So if we talk about its processor then, Honor View 20 is runs on 2.6 GHz Octa-core and it comes with 128/256 GB of internal storage with inbuilt 6/8 GB RAM. As now if we talk about it’s camera quality, So In Honor View 20 specifications, has a 48-megapixel camera on the back and a 25-megapixel camera on the front for selfies. The Honor View 20 runs android 9 pie and is battery-powered by a 4000 mAh non removable battery. It’s measurement are 156.9 x 75.4 x 8.1 mm(height x breadth x thickness) and weighs 180.00 grams (light weight). The Honor View 20 is a dual SIM supported smartphone that accepts Nano-SIM and Nano SIM. The smartphone Connectivity options are GPS, WiFi, USB, Bluetooth, FM, 3G and 4G (with support for Band 40 used by some LTE networks in India). 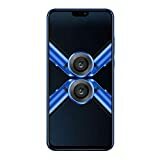 The Honor View 20 specifications consist of Sensors involves Compass/ Magnetometer, Accelerometer, Fingerprint Sensor, Proximity sensor, Ambient light sensor and Gyroscope. The phone comes with Kirin 980 chip which makes the phone faster than ever. The camera software & hardware is better than anyone to provide the best quality in pictures taking. Comes with Full HD display screen with a resolution of 1080 x 2310 pixels. First ever smartphone with In-screen camera. The 48 megapixel camera of this smartphone is legit.